When you think about international travel, you most probably think about global roaming. And the moment you think about global roaming, Pix World comes to your mind for sure. Pix World is the best world travel SIM card that you can buy today. But how has this SIM card risen above the competition? How has this universal prepaid SIM card delivered the best coverage? Well, in this post, we’re going to cover the three factors that make Pix World the ultimate solution for managing global roaming. These are the three factors that have helped this global SIM solution provider rise head and shoulders above the rest. So, now, let’s get started. Any travel SIM card is supposed to offer the best coverage every time. But that’s not the case, actually. Most international SIM cards offer flawless coverage but only on paper. Because the moment it’s about delivering real-world solutions, these global SIM companies just fail. That’s where Pix World makes a difference. 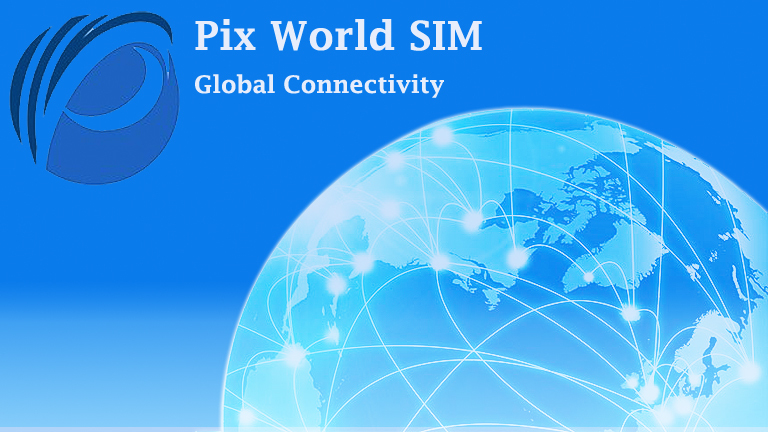 When you insert a SIM card from Pix World, you’ll stay in touch with your world anytime, anyplace. And that sort of superior coverage is the result of Pix World’s extensive network. This network includes more than 150 telecom operators—and all of them work on speedy 3G and 4G networks. This way, Pix World delivers flawless coverage in mostly every part of the world. The best part is that this coverage comes without any call drops or undelivered messages whatsoever. To be precise, this international SIM solution delivers sensational connectivity in more than 193 countries and over 220 cruise ships every time. That level of coverage will sure cost you top dollar, right? No. Pix World offers amazing wireless plans that are priced economically. Well, Pix World wants that its superior coverage should be experienced by everyone. That’s basically why you’ll find an amazing range of wireless plans available with Pix World. As a matter of fact, if you stick with a specific plan from Pix World, you’ll quite easily save more than 120 percent of your roaming cost. Besides offering sensational coverage and affordable wireless plans, Pix World even brings tons of freebies. Because free things are liked by nearly everyone out there. Here’s a list of the free stuff that Pix World is bringing for its users. When you get a SIM card from Pix World, you’ll get unlimited WhatsApp, Viber, Facebook Messenger, and the like. Pix World lets you receive unlimited calls in over 135 countries and more than 220 cruise ships. When your unlocked device is carrying a SIM card from Pix World, you’ll be entitled to receive unlimited texts no matter where you’re located. So, you’ve got a fair idea now why Pix World has risen as a top-class international SIM card provider. Just in case you need any further details in this regard, get in touch with the company’s sales team here and now. But before you pick any plan from Pix World, it’s always advisable to browse through all the available options at Pix World. Then only pick the best option present for your money.